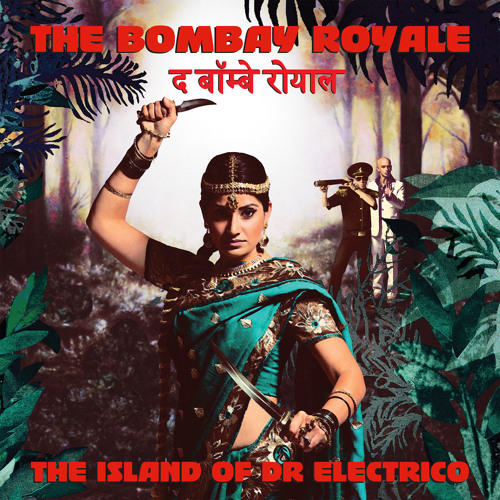 Buy on vinyl/CD from http://hopest.re/drelectrico or on iTunes from http://hopest.re/1uSkY3o Introducing “The Island of Dr Electrico”, the second soundtrack album from The Bombay Royale, originators of vintage Bollywood-inspired surf, spy, disco and funk. Building on the worldwide success of their debut album ''You Me Bullets Love", the band has unleashed its trademark sound and set off on an extraordinary musical safari. “The Island of Dr Electrico” is a varied musical landscape, at times lush and tropical, at other times an impenetrable swamp teeming with all manner of surprises. Migrating seabirds have long flown thousands of extra miles avoid Dr Electrico's blighted isle, leaving him alone to experiment with dark beats, primitive synthesizers and the raw emotion of kidnapped souls. The resulting sounds are a rich palette of classic cinema, from lonesome spaghetti to surf-rock, from psychedelia to spine-bending space disco, overlaid with the voices of our protagonists The Tiger and The Mysterious Lady. From their unlikely beginnings in the suburban wilds of Melbourne Australia, The Bombay Royale have taken their unique sound to audiences throughout Europe, UK and the USA, where their performances have been met with astonishment and critical acclaim.